Windows are your household’s single largest contributor to natural light and fresh air. Dust and dirt quickly accumulate on windows and window screens and block the natural light making the rooms darker. 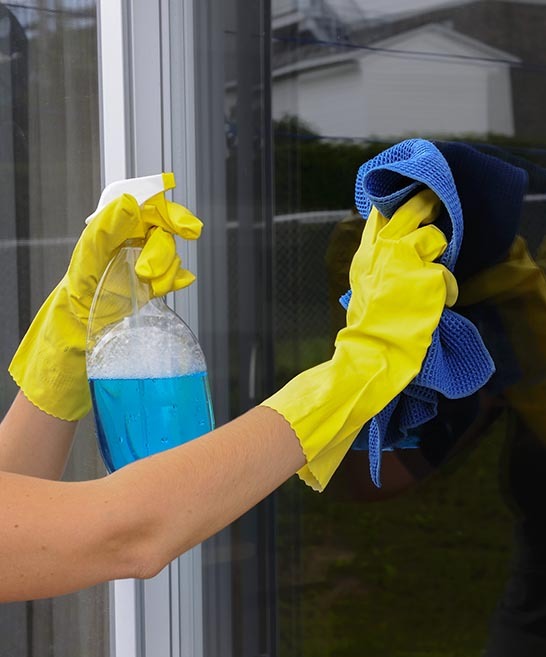 Miss Maid offers the most comprehensive residential Window Cleaning Westchester NY service delivering superior results and customer satisfaction. Miss Maid’s trained professional window cleaners specialize in the cleaning of all types of windows no matter their structure, location or height. When booking window cleaning with us we will not only wash your windows inside and out, but we will hand wipe also your window sills, frame and moldings. We use professional biodegradable cleaning products that will brighten your windows sparkling clean. If you’re looking for a professional, reliable and flexible residential window cleaning company, look no further. We stand firmly behind the quality of our services and provide our customers with efficient window cleaning for their priceless view. As there are different types of window frames and glass that can be easily damaged if cleaned with unsuitable cleaning equipment, we recommend that this service is performed by a reputable firm with a proven track record in window cleaning. Our experienced professional window cleaners will provide the safest and most optimal services to you for beautiful, sparkling, bright windows. Prior to providing you with a free estimate we may need to facilitate a free on-site assessment to ensure we considered all your needs and will meet your requirements. First we will hand wipe your window frames and window sills and remove any dirt build-up. Then we will prep your window by scraping any adhesive particles that cannot usually be removed by normal scrubbing and will squeegee until streak free. We will wipe once again your window frames, edges and sills. Finally, we will also apply a protection wax for a long lasting cleanliness and resistance from rain and rain spotting. 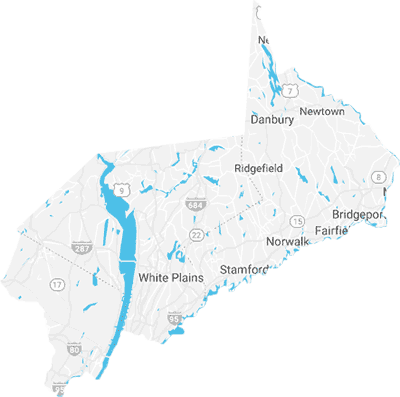 We service the counties of Westchester NY, Fairfield CT, Rockland NY and Bergen NJ. Get a FREE ESTIMATE online or call us now on 800-647-7624 to book a cleaning service with us today. Q: HOW LONG WILL IT TAKES CLEAN MY WINDOWS? A: The service time will depend on the number of windows, accessibility and current condition. Q: CAN YOU COME AFTER 6PM? A: It is not recommended to have this service started after 6pm because the sunlight will be limited and the technician might not be able to see in detail. Result will be less satisfying. Q: HOW MANY WINDOW TECHNICIANS WILL DO THE JOB? A: We will usually sent one window cleaning specialist, however we can deploy more operatives for a larger properties. We use best in class window cleaning equipment and cleaning solutions to remove any unwanted build-up, residue and substances to deliver the most outstanding experience and priceless view. 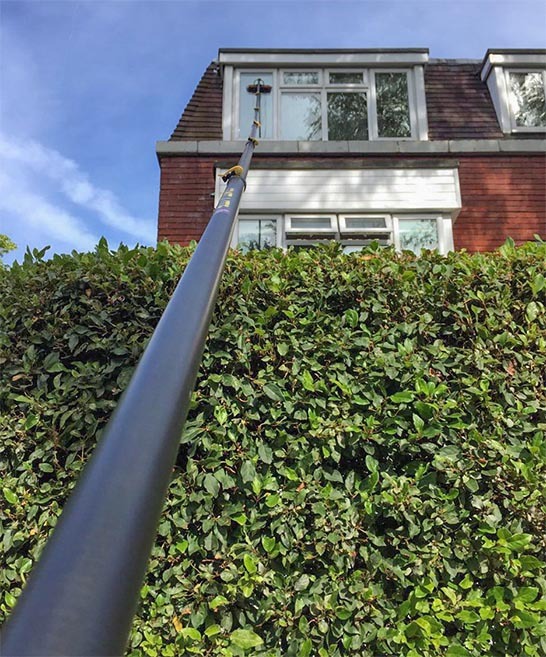 Our trained professionals are fully committed, reliable and qualified to provide our invaluable customers with a complete range of window cleaning services as efficiently and seamlessly as possible. We take window cleaning projects up to the highest quality standards of our cleaning policy. As such, the quality of all our products and services is guaranteed by Miss Maid’s quality guarantee seal.